Use the Interoffice Mailbox for mail collection, drop box or secure office communication. 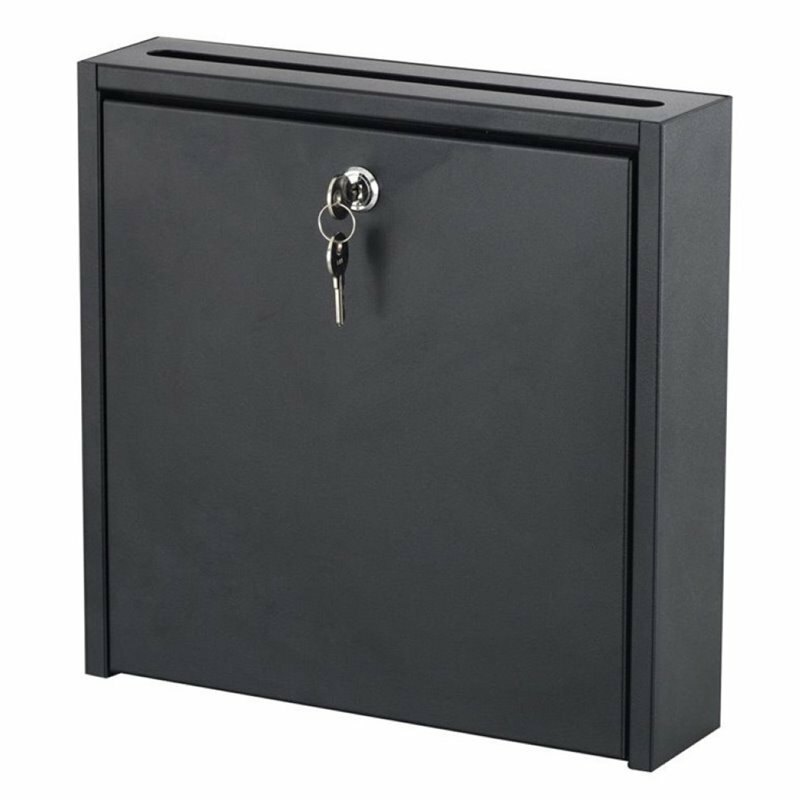 The steel mailbox features a locking hinged door for security (2 keys included). It features a top slot that measures 10 1/ 2 x 3/ 4". Mailbox is wall mountable with mounting hardware included. Black powder coat finish for durability.